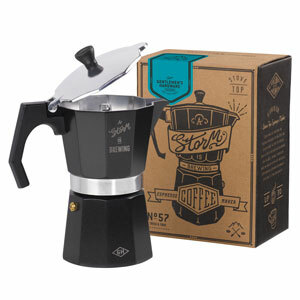 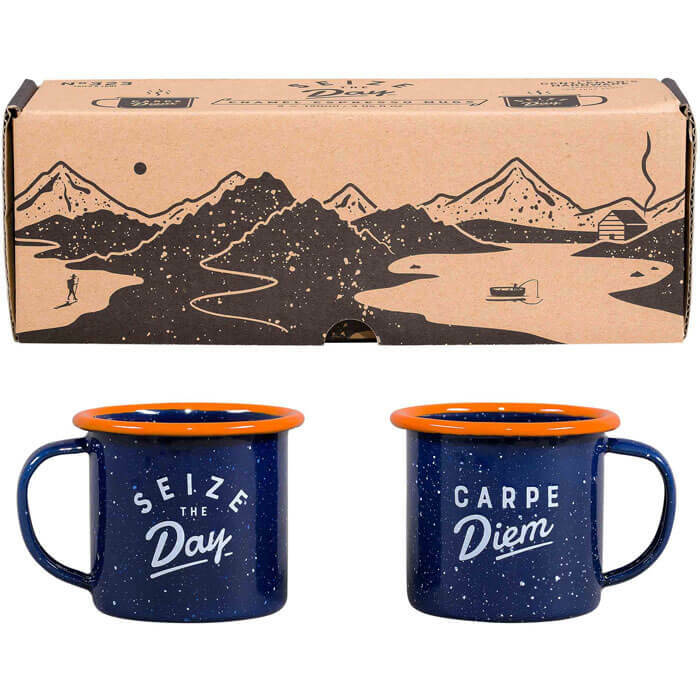 Fuel up with a shot or two of caffeine with this Enamel Espresso Mug Set. 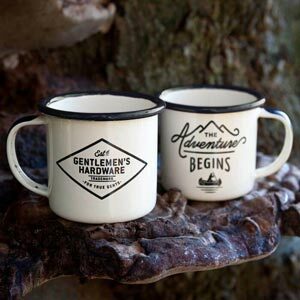 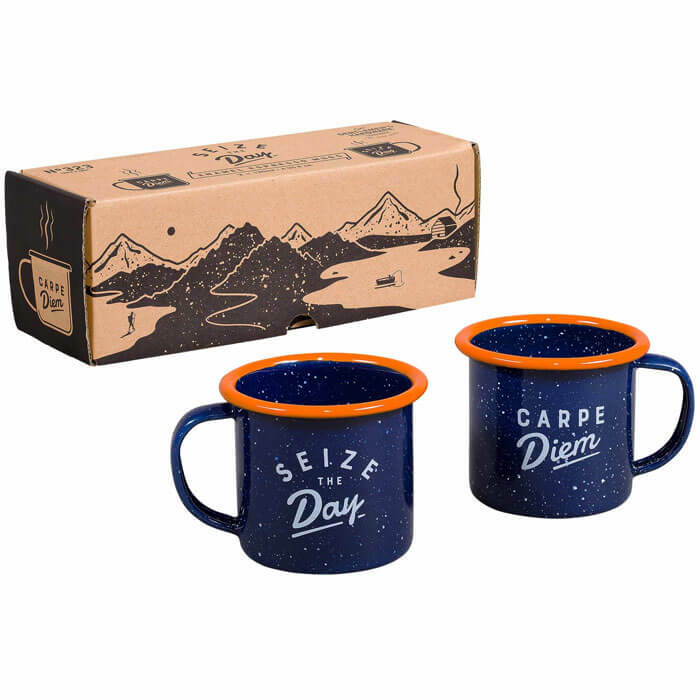 Designed for rugged adventures, the mugs feature the inspiring words 'Seize The Day' and 'Carpe Diem'. 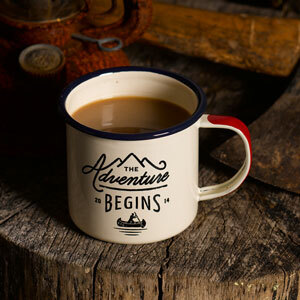 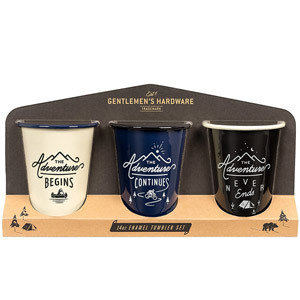 These lightweight and durable mugs will be permanent fixtures in your kit of outdoor essentials.